Following the release of their debut LP last year and accompanying U.S. support tour, exciting Australian band Monks of Mellonwah are back with a brand new EP and Stateside trip to boot. The alternative quartet has just released ‘Disconnect’ with seven new tunes. It follows a stunning few years for the band, as they took home awards in 2012, for International Rock Band of the Year and Best Indie Rock Band at the LA Music Awards and AIM Awards, respectively. Now though, with Grammy-nominated involved in the production alongside band member Joseph de la Hoyde and A&R Worldwide’s Monte Malone and Sat Bisla producing, they have bigger goals to achieve in the upcoming 12 months. While 2014 album ‘Turn the People’ was an eagerly-anticipated release after years of promise, ‘Disconnect’ seems them aim to step up through the gears ever so slightly. Opener to the EP, “Never Been Good”, is a bouncy pop tune with a crunchy drum beat in the background built for the live arena and getting audience members to clap along. It’s a strong start and a good pre-cursor of what is to come. Lead single “Even When It Burns”, is the highlight of the new collection of songs, it has an electrifying guitar riff that accompanies some haunting vocals; as electro-pop goes it’s catchy and has that haunting quality to it. Having listened to it a few times now, it has that essential ‘sticking’ factor, hours after listening to it, you’ll remember its familiar melodies and the chorus of ‘Even when it burns/ the simple things that I know I have learnt’, will be going round and round in your head! “Show Me Something” has a building quality to it too, that drives the pace slowly but surely with a piano and drum kit. It has a dance music vibe to it too, with echoes of Chris Martin of Coldplay’s falsetto vocals on show too. It probably epitomises what the band are about perfectly in a three-minute pop song- with impressive vocals, catchy drumming and crisp production sound. And that’s one half down, “Interlude” connects us through to the title track, “Disconnect”, in a Muse-style of theatrics. I’m instantly reminded of The Fray when the song kicks in, but the song develops into more of a love-lorn ballad with a pulsing electronic riff beneath it. It’s a warm, emotive song that strips back a lot of the bouncy tunes before it, and shows the lyrical warmth of the Monks song-writing. In stark contrast, “Look At Me” opens with a Nile Rodgers-esque spiky guitar riff, throws in some ska drumming and the vocals of British band Don Broco, and a perfect song is made. It feels as though it is a song to be listened to only when the sun is blazing in the afternoon, cloudless sky, and an ice-cold beverage is in hand. It could be argued the song is a bit stagnant in how it really doesn’t develop and maintains that riff throughout, but when a song is this catchy (and yes that’s a word that has been used throughout this review, for good reason! ), can you blame it for not going anywhere else? And that’s almost the end of the road, with closer “Feel It Coming” signalling the end of a short dash of an EP. It is another familiar tale of a journey that sees the band build and build and build to a satisfying musical climax. This sounds as close to an emo-pop-punk as the band manage, with drums that belong to a heavier band during the breakdown late on. But it leaves food for thought, as that’s a possible direction the Monks could eventually take their music perhaps? All in all, it’ll be interesting to see whether or not “Disconnect” can help the Monks of Mellonwah make that jump up to the top step in terms of musical quality or not. It sounds exceptionally well produced and is diverse enough to suggest that there’s something in the Australians. I’ll certainly be keeping an eye out in the future for this promising collective. Speaking about the self-titled debut album of his folk band Yellow Red Sparks, Joshua Hanson said, “I don’t believe that it’s possible to share everything a writer is feeling or trying to convey within 3 ½ minutes of a track.” Wise words from a singer/songwriter who comes close to doing the impossible with each of the emotion-packed pieces on the album. Hanson, and fellow band-mates Sara Lynn Nishikawa (upright bass/vocals) and Goldy (drums/vocals), pack in so much Indie/Folk goodness in each song that hitting play is much like popping the cork of an expensive bottle of champagne. Yellow Red Sparks originally started as the moniker of Hanson, a solo musician from California. 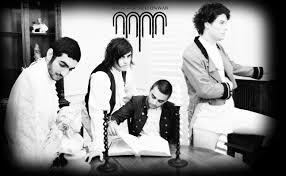 After adding two members – which accentuated the Indie sound – the band released its debut album in January of this year. In the Spring, Hanson was notified that his song “Monsters with Misdemeanors” won the Grand Prize in the International Songwriting Competition (ISC). The song was selected from more than 20,000 entries. High praise for a rising folk songwriter – and a totally deserved reward for a folk song saturated with raw emotion. And there’s one thing I’ll regret, but you’d be the last.” The song is true tour-de-force. 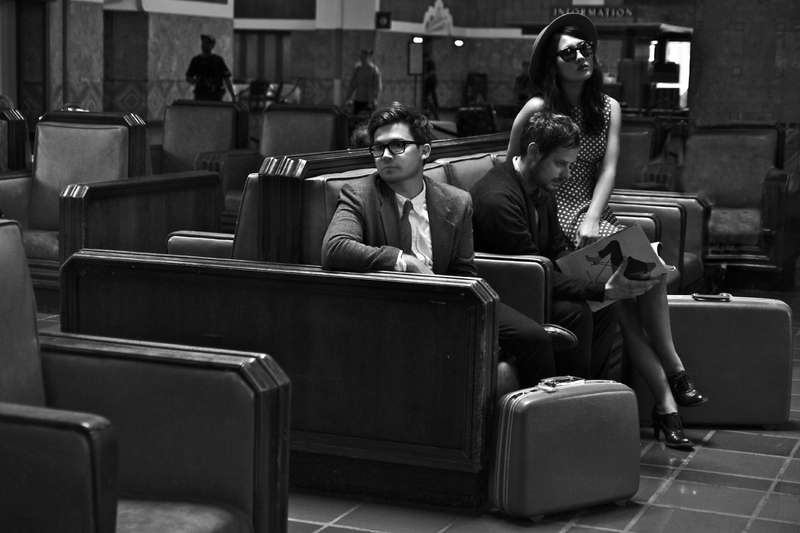 Make sure to check out the rest of Yellow Red Sparks’ excellent debut release here. You can track the band on its Facebook, Twitter, and Website. It took more than a bike for Febian Perez, lead vocalist/guitar/bass/piano of new Indie/Rock band Bike Thief, to end up in Portland, Oregon, where he formed the subject of today’s Music Court post, but after creating an open triangle with his musical travels (Rhode Island to Texas to Portland) he has settled nicely into a sprawling Indie act reminiscent of the ornate sound of bands like Arcade Fire. 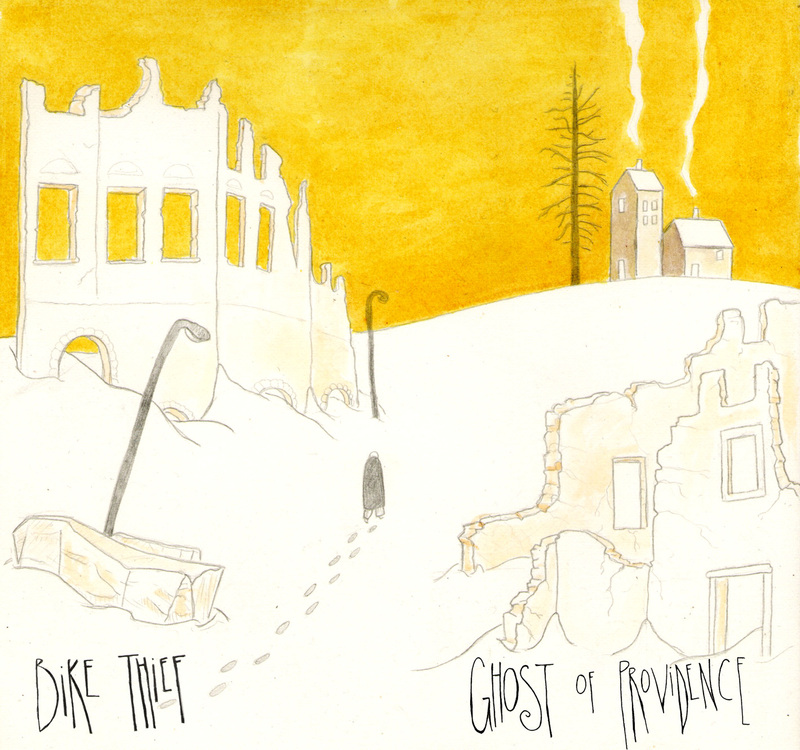 Bike Thief was named for the famous Italian film of a similar name – “The Bicycle Thieves” – and, in a sense, the opening track of Bike Thief’s incipient EP Ghost of Providence, which was released last week on River Jones Music label, is reminiscent of some of the expansive compositions of Italian composers. “Battles” begins with a Western-style progression styled like “Rocky Raccoon” by The Beatles, and flows into a duskily dulcet collection of voices. The beginning triggers thoughts of Danger Mouse and Italian composer Daniele Luppi’s Spaghetti-Western inspired album Rome, and it is because of this that I find the initial Italian connection defensible. The song continues with the twang of the lead guitar and moaning strings (nice work by Greg Allen). Perez’s airy croon snuggly fits the piece. His voice is made for his music – go figure! The song culminates into an instrumental medley. It’s a refreshing opening track, one that travels quickly and leaves the listener wanting more. “Ghost of Providence Pt. 1” is the more, and it is also the best track on the debut EP. This track beings more like a traditional Indie/Pop song (like that of Mumford and Sons), but it grows into something more elaborate. An acoustic riff and well-formed drum track (by Jim Cuda) leads into staccato strings. The strength of the song is in the repetitive lyric. I applaud the decision to pair the vocals with the strings. Equal credit here to the rest of the band: Charlie Barker – Vocals/guitar and Erica Shafer-Bass. You can check out the rest of the EP on Bike Thief’s Bandcamp. Make sure to Like them on Facebook and Twitter.